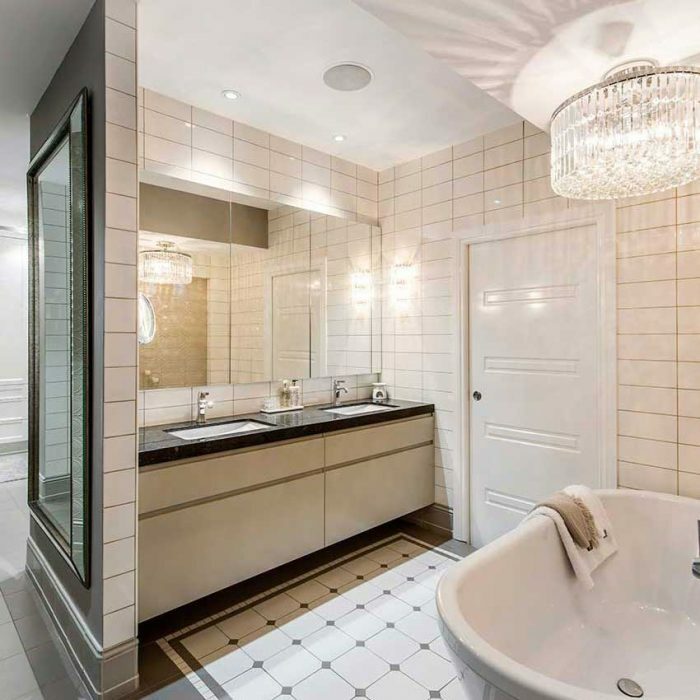 Who doesn’t dream of having a luxe bathroom in their life? Whether you’re seeking a zen space to unwind after a long, hard week in a bubble bath or a perfectly lit vanity to get glam on a Friday night, everybody needs a functional yet stylish bathroom. A collaboration between Designer Kitchens and Project Stone yields a timeless and classic bathroom design that you need to add to your inspiration board. 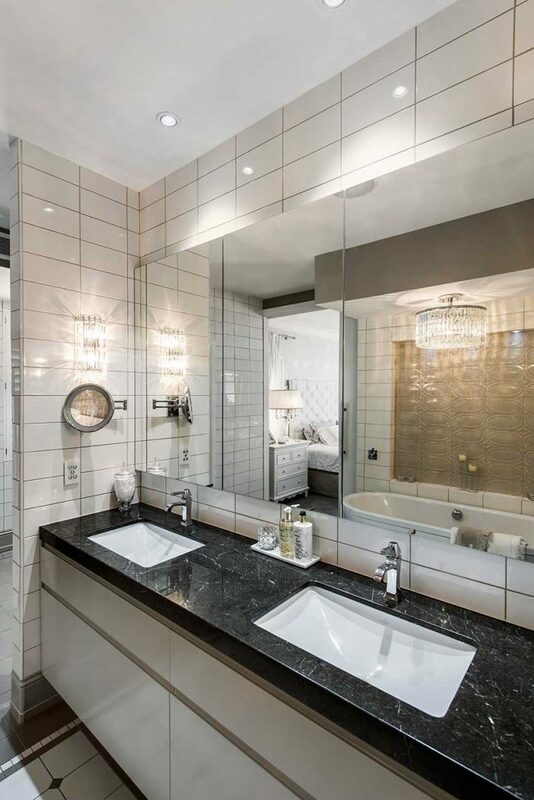 A touch of opulence and five-star luxury has combined to create a bathroom that the owners can utilise as an indulgent escape from the hustle and bustle of life. 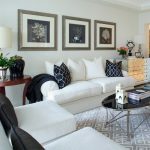 The brief involved transforming the private wing of a home which included the master bedroom, ensuite, shower room and walk-in wardrobe, into a luxurious and functional space. 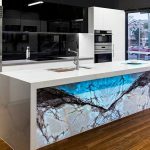 A bench of Nougat coloured natural marble from Project Stone was installed, creating interest with the natural grain and sheen of the marble. Elegant Italian tiles set the tone throughout the bathroom, with decorative ceramic wall tiles creating a charming feature above the bath. Sophisticated tapware and bathroom accessories provided a timeless finish. 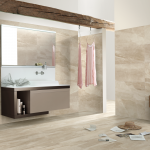 The quality and overall luxury of the bathroom features ensure that the finishes complement the five-star atmosphere. Functional lighting was much more than an afterthought and contributed much to the final design. Wall pendants are situated either side of the large mirror space rather than above, which creates the ideal lighting to apply makeup. A grand chandelier was chosen to add that final touch of glamour. 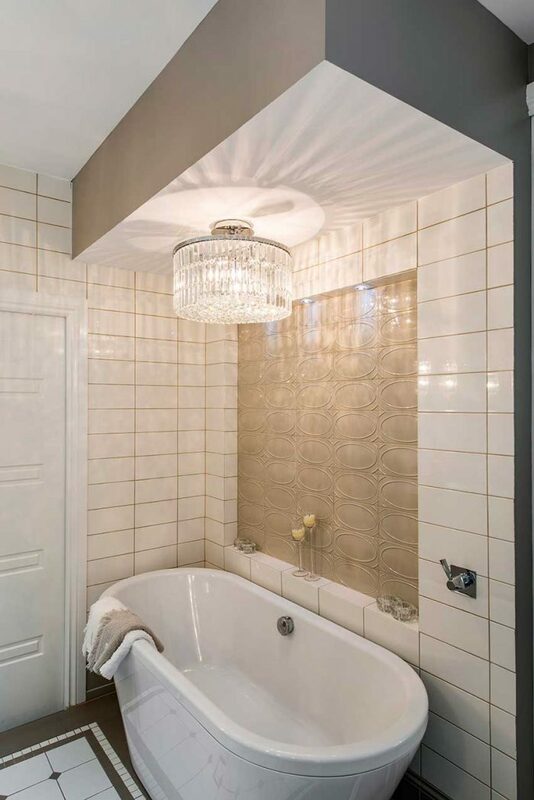 With lighting often being overlooked, it became a feature within this spectacular bathroom, making a difference both practically and aesthetically. 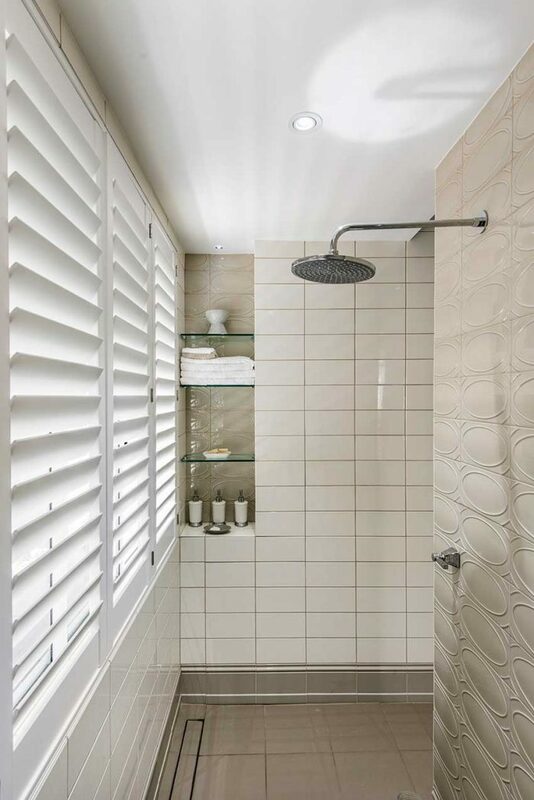 For these clients, indulgence and luxury was the key desire in their spectacular bathroom renovation. 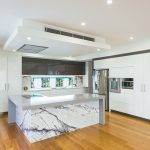 Designer Kitchens and Project Stone have ensured that’s exactly what was created.